The Joint Municipal Water and Sewer Commission (JMWSC) respects the privacy of its customers. We realize that customer concerns about privacy and the secure transfer, storage, and use of personal information have increased with the growth of online services. That's why JMWSC maintains strict privacy policies and uses state-of-the-art technologies to safeguard customer information. • Non-personal statistical information collected in the aggregate. This is anonymous information on subjects such as: how many visitors come to our Web site, how they navigate through the site, which browsers they use to visit the site, etc. • Personal information that you knowingly supply to us. When you sign up for certain services or register on the JMWSC Web site to access your account information, JMWSC will collect personal information that will help us to identify you, authenticate you, and provide you better service in the future. This information is called personally identifiable information and is used to associate usage information with a specific individual or entity. Examples of personally identifiable information are: customer name, address, telephone number, e-mail address, account number, etc. It is a common business practice to collect personally identifiable information in order to conduct business and provide customers with specific services. JMWSC has collected this information from customers in the past to provide services through mail or over the telephone. The emergence and popularity of the Internet provides JMWSC with yet another way to communicate with customers and meet customer needs. We do not sell or trade information. JMWSC will not sell or trade your personal information to any third party, absent authorization by you. We only collect your personal data in order to provide you with better services. E-mail gives JMWSC another convenient avenue to communicate with its customers. We hope to periodically tell you about new rates and services that would benefit you. JMWSC will not, however, send you e-mails if you do not wish to receive them. If at anytime you would like to remove yourself from JMWSC's e-mail list, you can do so by typing Remove in the subject line of a returned e-mail to JMWSC. 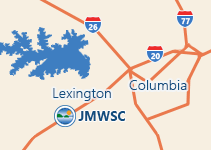 All transfers of personal information on LCJMWSC.com are secured by the industry standard Secure Sockets Layer (SSL) protocol. SSL prohibits other Web users from gaining access to your personal information. JMWSC does not seek to collect personal information from children under 18 years of age. We do not have any content on our site that would be considered harmful to children and certainly do not restrict children from visiting our site. The JMWSC Web site contains links to various other Web sites. Please be aware that these other sites may have privacy policies that differ from ours. JMWSC is in no way responsible for either the content that appears on linked sites, or your privacy once you have linked to other sites.